The third phone in the Droid Incredible series, the HTC Droid Incredible 4G was announced on Monday, this week.It looks like the smart phone is headed towards Verizon. 1.2 GHz dual-core Snapdragon processor. Capture photos while simultaneously shooting high-definition video. Front Camera For Video Chatting. The HTC Droid Incredible 4G comes with the latest and greatest version of the Android software, the Android 4.0 ICS.We saw in the HTC One Series(HTC One X Flagship), that all the phones had a uni-body design with no offering to remove the battery and swap it, but the HTC Droid Incredible 4G has swappable battery and MicroSD Card expandable memory upto 32GB. 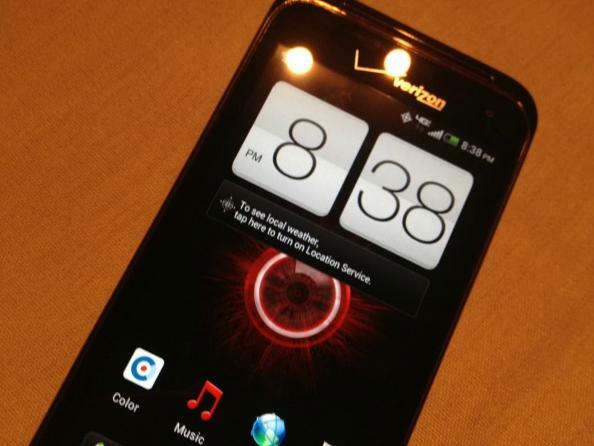 Verizon did not set an exact date for the release of the new HTC Droid Incredible 4G, but they did say that it would be released in the coming weeks, so it may take upto a month before we the HTC Droid Incredible 4G in the market. Once the phone is released, we will release a full hands-on review of the HTC Droid Incredible 4G.So stay tuned for that.